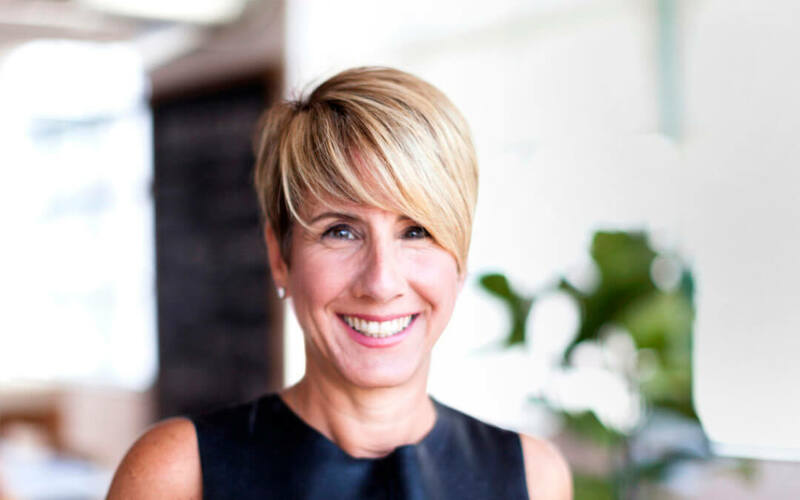 Tracy Lloyd, founding partner and Chief Strategy Officer of Emotive Brand, shares how her sales background informs her work today, and offers insights on the true value of bringing sales to the strategy table. Tell us about your sales background. I have an interesting background that has led me to the agency world, and on to brand strategy. Initially, I got my start in non-profit fundraising and development. A start-up CEO bought an expensive table from me to attend a gala event I was hosting. Throughout the sales process of getting that deal done, he said to me that I was in the wrong job, and thought I should be in sales … at his company. And so I did. And from there, I sold technology for many years—some emerging technologies, other enterprise solutions—in the states and living as an expat overseas. How does your background shape your approach? Everyone brings their past experiences and jobs with them. My background happens to be in sales. And I bring that knowledge into our approach at Emotive Brand. Because I know how to sell and understand what it takes to be successful in sales, I focus a lot of my time there. It helps me back into brand strategy. With a sales mindset, I can reach a full understanding of how to position and sell technology to the enterprise. In fact, I’ve realized I can’t really brand something until I know how to sell it. I need to grasp what’s working and what’s not from the perspective of the sales team. Since the sales team is closest to customers, they have a strong understanding of what customers need to buy. They are naturally driven to be successful. And they want everything at their disposal to be successful. They are the people I want to spend time with so I can witness first-hand what is going on. Understanding what will help them helps fuel our own team and our work. It is also a good reality check for me to balance what I hear from other parts of the organization directly for myself, and to witness the realities of what it is like for the sales team who is out on the front line. Other people might come from different angles, but I think that this particular angle is something that is distinct to the way we work at Emotive Brand. I think it differentiates the way we approach strategy. So sales teams are involved in your brand strategy process? Yes. I like to involve them in a few, key places in our process. Early on, I like to go on sales calls and listen in whenever possible. It helps me get grounded in what’s going on. I listen to their pitch – how they address objections and how they position the technology. I pay attention to tone of voice. I look for signs that indicate that the customer understands. I want to know the exact point at which a no transforms to a yes, and then pinpoint why. Later on, I like to involve sales when we begin work on prioritizing target audiences and then again when we are developing the value proposition(s) and messaging. At the end of the day, so many aspects of brand strategy have value by being vetted by sales – positioning, messaging, defining categories, and go-to-market strategies. I gather huge insights from the sales team – insights, I might not be able to get anywhere else. It’s my job to ladder back these findings and connect all the dots, and from there build the most impactful strategy possible. It is obvious to work with the marketing team when developing a brand strategy. It’s not as obvious to work with the sales organization. But, for us, it works. Bringing sales to the table creates alignment, and breeds a better, stronger, smarter end product. What kind of clients are your skills in sales of particular value to? We work with a lot of high-growth startups that are going to market with products and services that are new, and often times inconceivable to most people today. They’ve built and engineered products that are ahead of the marketplace. This requires hard work from the brand in order to cut through the clutter. Our clients need help clearly articulating their true value to customers. Often times the market needs help understanding the brand’s value proposition and our clients need these tools to help their marketing and sales teams execute successfully. They need to quickly penetrate the market and sometimes even create a new market when one doesn’t exist. We have done our very best work for companies who have complex B2B technology, are beginning to sell into the enterprise, and who need to create new value for old thinking. Where does brand strategy come in to play? Brand strategy is about solving business problems. It’s as simple as that. All of our clients come to us with a business problem and we create a strategy to solve it. Most often the problems we are solving are about growth, differentiation, and creating a strong value proposition. Our clients almost always have a solid understanding of the features and benefits their product offers, but leading with that is not working. They may not know it at the time, but this is where the brand needs to step in and help them better tell their story. For us, it always starts with defining why a brand matters at the highest level. We make it easier for a target audience to understand a technology and its role. From there, it’s all about creating the corporate narrative. Nailing the category, the positioning, and creating a strong value proposition and messaging to appeal to your top buying personas. Brand strategy answers integral questions like: Why does your product matter? Why does it matter now? How is it different and better than what competitors are doing now? Sales teams need to understand the answers to these questions in order to be successful. Knowing how to sell makes it easier for me to think about the end user buying our clients technology and how to best support a sales team with the tools they need to go to battle and more easily articulate this new way of doing business. We arm them with the tools that more easily helps them do what they do well — close deals. Are there any challenges involved in bringing sales to the table? Taking sales people out of the field is hard. So it’s important that we use them strategically and not waste their time. We don’t need everyone in sales involved in the process, but we make sure to include enough people so the strategy can benefit from their front-line experiences. They are very good at helping us gauge reality. What’s the bottom-line payoff of bringing sales thinking to brand strategy? There is so much exciting stuff going on in technology right now. For our clients’ customers, it’s hard to keep up to date and understand who’s going to bring the right value to their business. Brand strategy can help position a business to thrive – creating the right tools to go to market, and helping customers more clearly understand why a business matters and how it’s different. Using my sales background is a way for us to get to the heart of why the brand truly matters so we can create the right brand strategy. This understanding helps create a value framework, situate the brand and its people for success, and ready a business to scale. Our work is about creating a brand that truly connects with people rationally and emotionally. A strategy doesn’t have real value unless it actually helps a brand reach the people who matter most to its business in meaningful ways.Bringing a sales mindset to the strategic table makes for a more impactful strategy. That’s the bottom line.